The universe has been a sort of hectic place the last few months. There has been death, unexpected and expected, both difficult and tragic in their own ways. Traveling and working late nights. The winding down of the semester for Jared, which indicates a winding up of stress. Sickness, aches, pains, sleeplessness. Its enough to bring a girl down. And yet, for the most part, I feel so good and so grateful. I keep singing the Mister Rogers song to myself. It's such a good feeling to know you're alive. So here, in November, are some things that are making me happy. 9 Mannings, 4 Orels, 3 1/2 Alexanders went camping and had a jolly old time, no sleep really at all, and an excess of smores. Gilligan found his happy place. And 6 ticks. 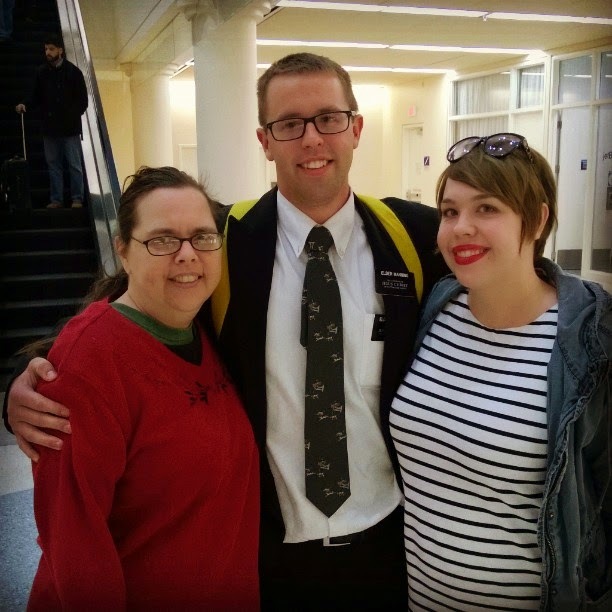 My brother Joel came home from his mission! Joel is such a special person, and I admire him so much. He is loyal, steadfast, quiet, thoughtful, patient, dedicated, hardworking, gentle, strong, loving, and handsome to boot!. I am so glad he is home. I am nearly 7 months pregnant. 1 more day. Baby is head down and squiggling around like a champ. And I get to have a delicious breakfast for my glucose test instead of chugging that gross stuff everyone complains about. Pregnant ladies of the world, educate yourself. My back and legs have started to ache, and at times I do get a little weary, but I still feel like me. I feel really good. Still no real feeling as to gender. Every time I think "Oh come on, this has got to be a boy." A sneaky little thought cries GIRL in my brain. 3 months until all is revealed. Bradley classes are going really well. I may gripe about sitting on the floor for 2+ hours every Monday, but the information I get there is really so interesting and makes me feel much more prepared. Understanding what is happening in your body and the different internal and external, medical or otherwise, tools used in birth is very empowering.